ESSEC Business School, founded in 1907 in France, is one of the world’s top international business schools. ESSEC has campuses in Europe (Paris), Asia-Pacific (Singapore) and Africa (Rabat), serving as gateways for students and professors to gain access to multiple regions of the world, to study and understand the economic forces at work as well as to develop networks in different regions. The ESSEC Global BBA is a 4-year programme for high-achieving undergraduates to pursue a successful international career in business. By enrolling in the ESSEC Global BBA program – the #1 ranked program of its kind in France - you’re choosing a world-class education combining cutting-edge knowledge and life-changing experiences through personal development, hands-on career experience, and a study-abroad program with several partner universities. Experience an international immersion with 1 degree, 3 campuses, and over 150 partner universities across the globe. The ESSEC Global BBA also offers you the option of taking up one of our 9 Double Degrees with our partner institutions. 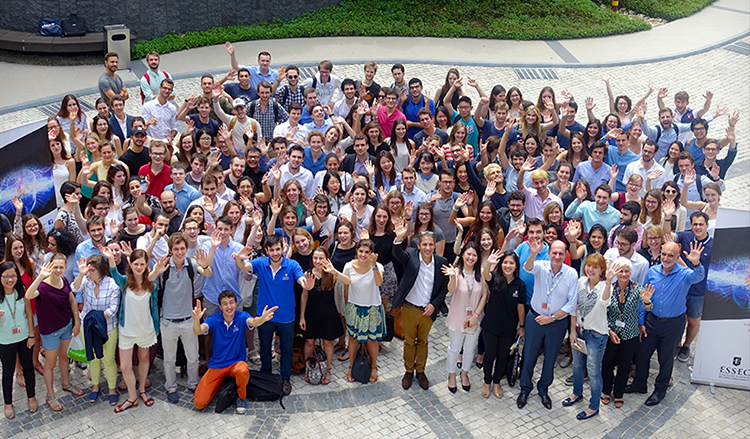 "ESSEC opens doors to students, giving us the chance to make our imprint on the world, wherever we choose." Does ESSEC pioneering spirit inspire you? Admission in Singapore is open to students of all nationalities with good grades for their high school/junior college diplomas, GCE ‘A’ levels, IB Diplomas, national Baccalaureates or a relevant Polytechnic diploma.